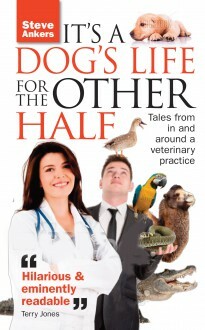 Steve Ankers’ wife Margaret and big brother John have been vets all their lives, so Steve has spent a large part of his life helping one or other of them, sometimes both, through amusing, harrowing and occasionally disgusting encounters with creatures of all varieties, shapes and sizes. The experience has given him a hilarious fund of tales about adventures with animals and their owners, from llamas, wallabies and escaped alligators to dodgy greyhound trainers and the cat that ate a Chihuahua. Sometimes moving and often extremely funny, this is a very well-written account of life working closely – sometimes TOO closely – with animals.